Slot games are the best when it comes to winning easy and impressive rewards with just a few lucky spins. There are many categories of games in slots with various different themes and formats. The simplest form of slot gaming are the three reel slots. 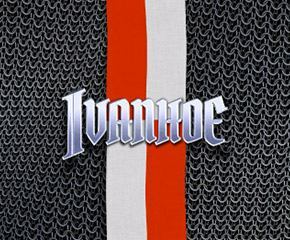 Ivanhoe is a new one in this category of 3×3 format. The theme of the game is based on a movie on a novel by Sir Walter Scott. The background image of the slot is an ancient brick castle There is a battle music in the background to make the game more interactive. The betting in this game starts with 20p and goes up to £100 each turn. This Simple yet innovative three reel slot game was developed by none other than ELK; a creative online slots development company with many popular games to their list. They have rich experience and skills that have helped them create games that can be played on mobile devices as well. Wild Feature: The golden crown is the wild symbol of Ivanhoe and it replaces all the symbols. Wild does not substitute the game logo symbol. This appears on all reels and is the same symbol for wild during the free spins too. Bonus Scatter: The game logo is the scatter symbol of this game. When three of them appears during a spin, you are awarded five free spins. Every additional symbol landing adds a free spin and there is no limit to how many of that you can re-trigger. 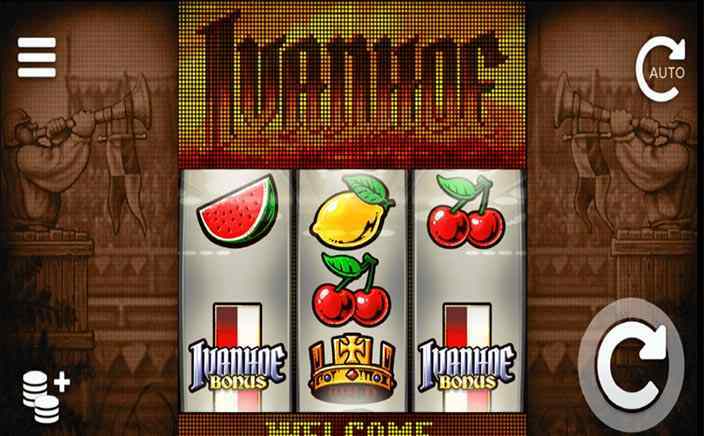 Summary: Ivanhoe is a very simple three reel slot with brighter chances of winning from various symbols. The bonus features of the game help you win bigger stakes and there is a chance to win up to 300000 times your stake during free spins.